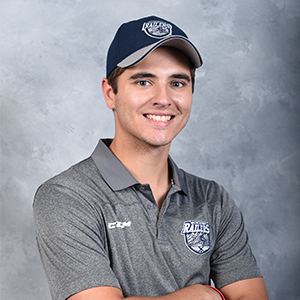 Paul Harris serves as the Community Relations Coordinator for the Worcester Railers HC after spending the previous four years as an intern with the AHL club in Springfield, MA where he worked closely with the game operations staff and front office. The 23-year-old native of Shrewsbury, MA graduated from Western New England University with a bachelor’s degree in Sport Management and Marketing where he served as vice president of the Sport Management Association. Harris recruited fellow students to engage in the Springfield community while working for the Center for Civic Engagement and volunteered his time at several community events which included Project Favela in Rio de Janeiro. Harris is a graduate of St. John’s High School in Shrewsbury where he served as the Co-President of the Leaders of Tomorrow volunteer and leadership group. Please contact Paul Harris at PaulH@RailersHC.com with any questions regarding the Railers HC community efforts.